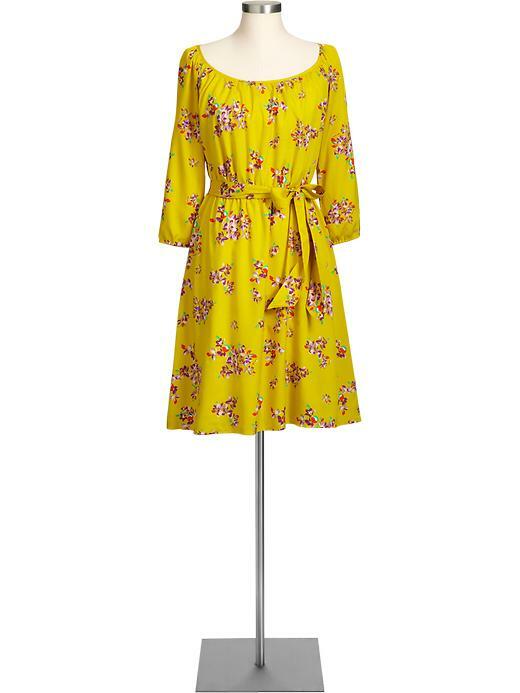 Recently I read an article on Yahoo with some gorgeous spring time dresses and though most were under $100, they were still priced a little out of my budget. I decided I could find something similar for a lot less! One of the dresses I saw was by a designer named Kensie, at $87 it was barely under the $100 mark. I happened to walk into Old Navy (If we ever move I don’t know what I’ll do, Old Navy is practically in our back yard right now) and found a GREAT alternative that still has the floral print and femininity of the original but was much more affordable! Now the in store price is cheaper than the online price but at $29 it’s still a steal! What do you think of my look 4 less find?